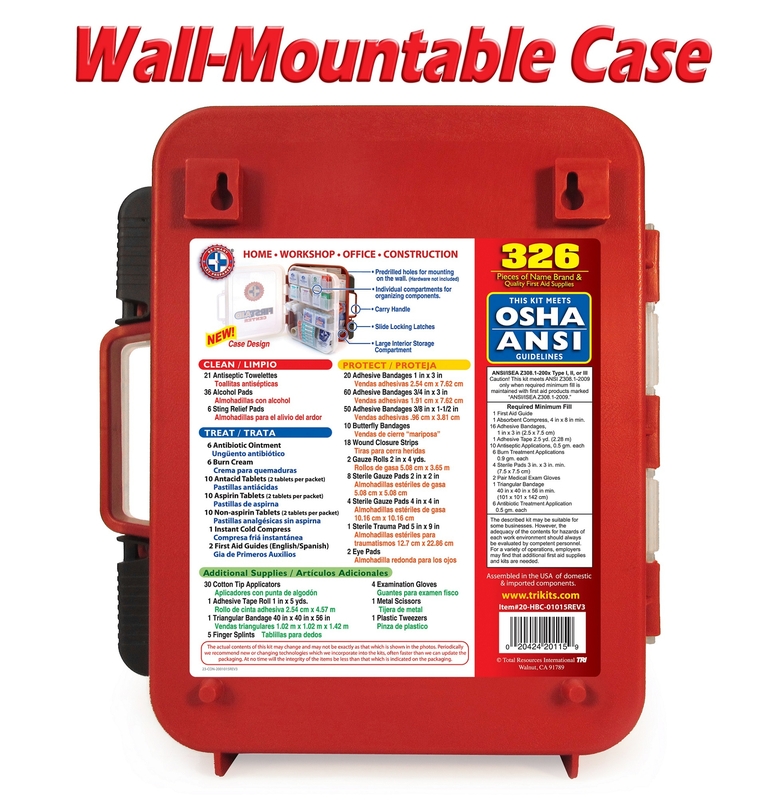 The 50 Person OSHA Aquatics First Aid Center includes 326 items for all your first aid needs. 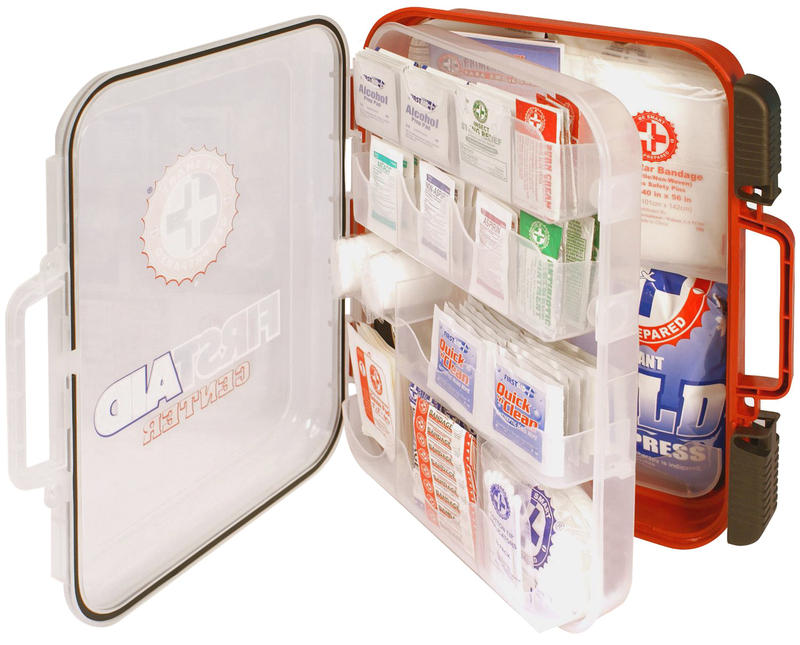 The 50 person OSHA first aid kit has a multi-compartment organizer case, making response to first aid emergencies easier and qujicker. 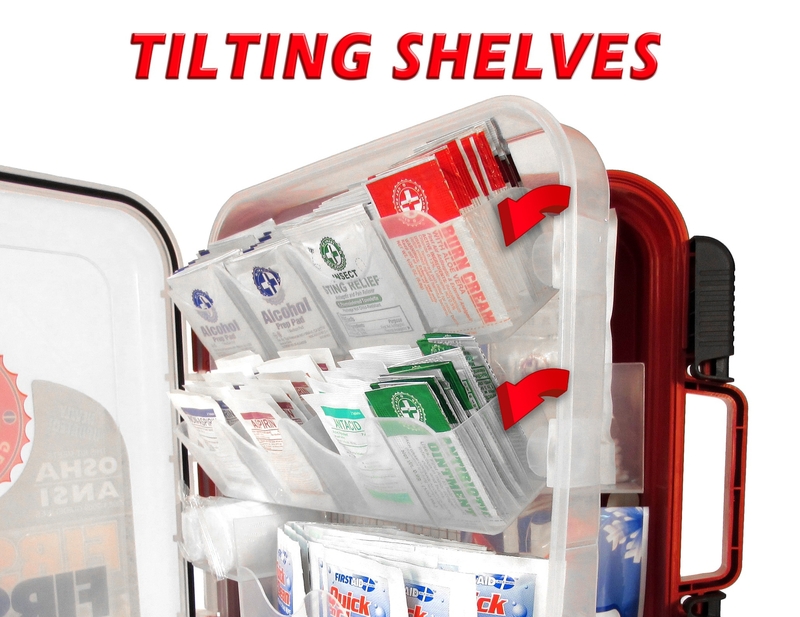 This First Aid kit has a clear front for quick visibility, and a rubber gasket seal to keep out water, dirt and grime. Can be wall-mounted or carried by its handle. Exceeds OSHA & ANSI guidelines. Case measures 13 inches x 10 1/2 inches wide by 4 inches deep.